Swat's Blog | #029: Can Changing Culture Change Your Life? OK Swat, why must you know that culture affects you? Well it affects you. Like literally…your molecules. It’s chemistry. If you read my blog before, you know how much I love alchemy. I just want to make you realize, how you can literally shift your reality, with very little effort. This is a powerful 80/20 rule in action. A person who transforms through a magical process. In other words, mixing stuff together creates miracles. Fasting detoxes you and spiritually purifies. A seed + soil + watering = unlimited oranges. What are your ingredients? Let nature do the rest. Major leverage. What could those things be? I got a chance to experience different cultures. I grew up in Canada. A diverse community of many backgrounds…mixed with very Canadian Hockey Nights, beavertails, and poutine. I also had family who lived in the US at the time. I got a chance to experience a few “different worlds”. Just a few changes of people around me would change everything. Living in Canada meant “western culture”. Being Bengali, meant “eastern culture”. Both in Canada, but different people, food, and languages. I loved it. It was diverse. I saw color. A few people change, everything changes. After college, I remember feeling stuck when I was in a job I didn’t like, spending time in environments that I didn’t realize were toxic. The people I was around worked there for years and years. They went to the casino at night. They listened to horrible radio music. They watched reruns of TV shows. This was their life. They were OK with it. I didn’t realize it at the time. I thought it was normal. I was getting paid. I didn’t know what I didn’t know. Shifting things around was scary anyway. 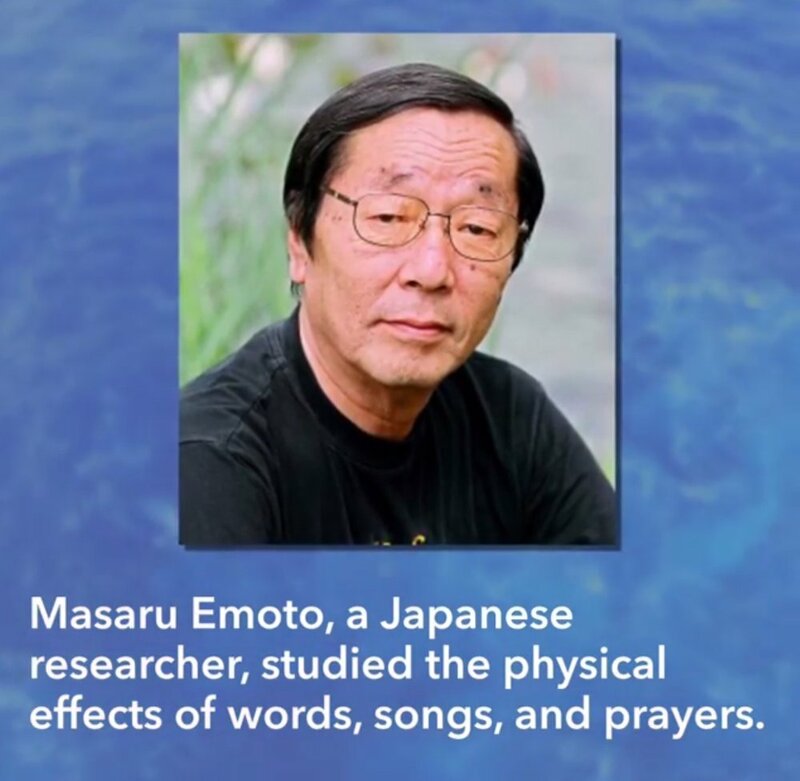 Based on Dr. Emoto’s experiments, we learn how emotions, words, and beliefs scientifically affect the molecules in water. According to Dr. Joe Dispenza, author of The Placebo Effect, he states the human body constitutes of 70% water. You’re choosing at every moment between toxic energy vs. healing energy. Thoughts. Music. People. Food. All of it affects us. It’s alchemy. Environments of pain create pain. Environments of love, create love. These emotions influence us on a molecular level. So what creates culture? Let’s break down what makes up culture. Environment affects plants too. Oranges thrive in the winter in Southern California. But not in New York City. You can hack yourself, by being aware of the culture around you. Changing people. Things. Music. Language. Well first, culture is defined by things that worked in the past. Therefore you can either change the culture (BIG TASK) or could join an existing environment. Or create your own, by creating your own tribe by following the 8 things that make up a tribe. What Are The 8 Ingredients of Your Environment? Below is what makes up culture as we know it…. PHOTO: This photo is symbolic of the culture we live in. Each petri dish is a different culture. How’s your environment affecting you? 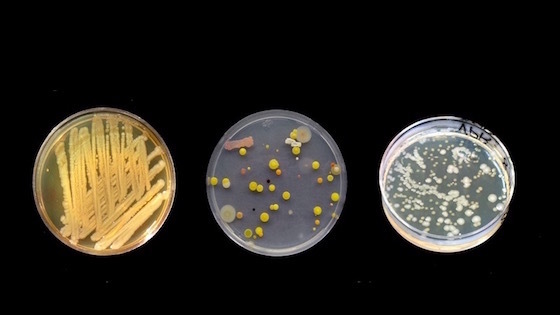 Above: 3 petri dish with 3 cultures. Symbolic of living in 3 different cultures. The bubble we live in is a petri dish, this is “culture”. What are the traditions, customs, and language spoken? Who are the 5 people you interact with the most everyday? What are their attitudes? Tim Ferriss says your attitude and net worth is the average of these 5 people. How does the location, weather, and history affect the people around you? Positive? Negative? No affect? What environments do you have at home? When you wake up? Do you have a vision board in the morning? What does your workspace feel like? How does the time of day affect you? What’s the difference between the morning crew at the gym vs night time crew? How do the structures and systems like schools, religious spaces, and cultures affect you? For me, I feel what affects me most is where I am physically (home, office, car, etc), people, and the routines. That’s my alchemy. What about you? Consequences….What happens if you don’t change your environment? You may be holding yourself back, without knowing it. Or you may only need to change a few things on the list above, to reach your true potential. Maybe, spend more time with people you love. Less time with people that lowers your vibration. The world is changing faster than most people can keep up. If you live from a memory of the past, you cant keep up. Companies can create their own environment and culture with a vision of the future. Companies like Whole Foods are focused on a workplace driven by conscious culture. Amazon is driven by customer obsession. You can create your own culture at home. What type of people do I resonate with most? Where do they live? How’s the weather there? How does that affect the people? How could I spend time with people who make me happy? How can I avoid people who make me sad? Where could I go to experience the culture I want to experience now? How can I change or create the social structure that I experience? What work environment will I excel in? How can I manipulate the things I hear and smell in my workspace? How is globalization affecting the workplace? The city you live in? Changing your environment, changes your life.